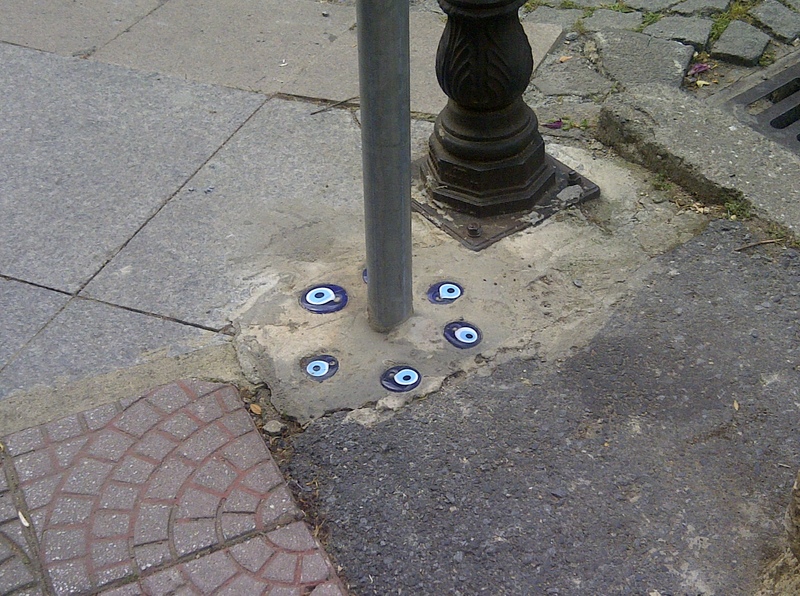 Everywhere in Turkey, we are being watched. And we’ve been doing a pretty good job keeping up our conservative-chic. 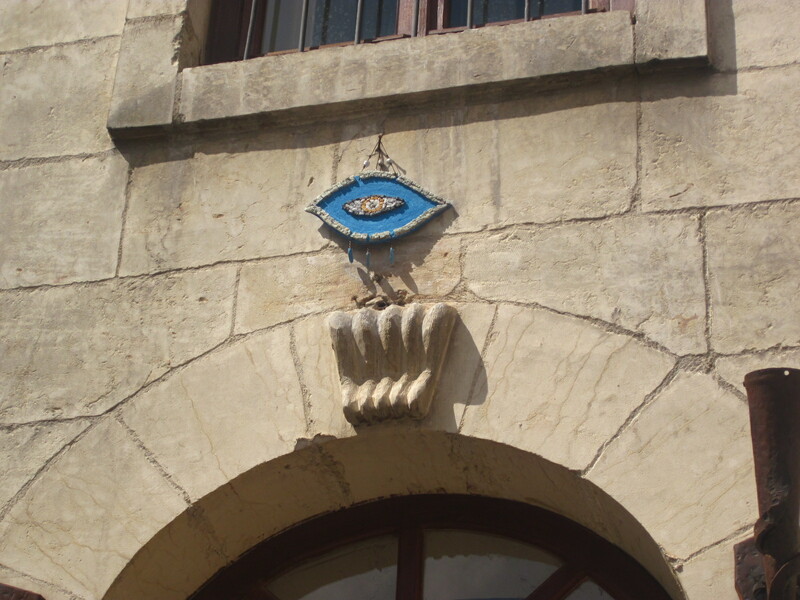 But regardless of appearance, Turkey’s evil eye always watches. From the bustling streets of Istanbul’s Grand Bazaar and bazaars of Urfa to roadside ice cream carts, from nice restaurants to a roll of bubble wrap at our hostel, and from taxis to Charlotte’s birthday balloons, this eerie blue eye is everywhere. 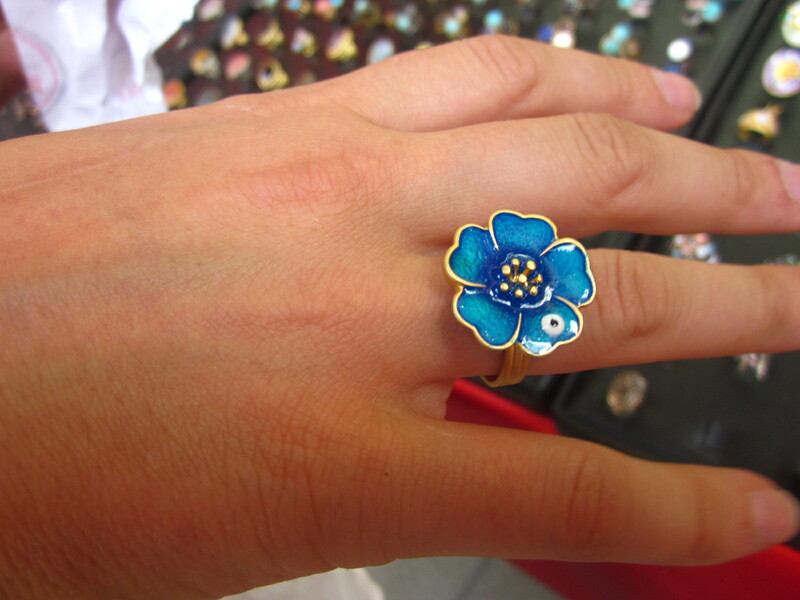 Every vendor I asked about its significance at the Grand Bazaar responded in broken English: “Everyone like”, “It lucky”, “It protect”. But how, and why? And why do tourists spend up to hundreds of Turkish lira on a giant blue glass ornament? As we walked through the bazaar and the unfamiliar sounds of Turkish washed over me, I suddenly heard a “Namaste ji”. Hindi! I was in familiar territory. I proceeded to have a conversation with an Afghan vendor who spoke Hindi/Urdu (and claimed to speak four more languages). “It’s an old tradition, more than 500 years old. I have it in my room and outside my house. I don’t believe in it, but my wife does. Have to keep her happy, you know?” He was a keeper. 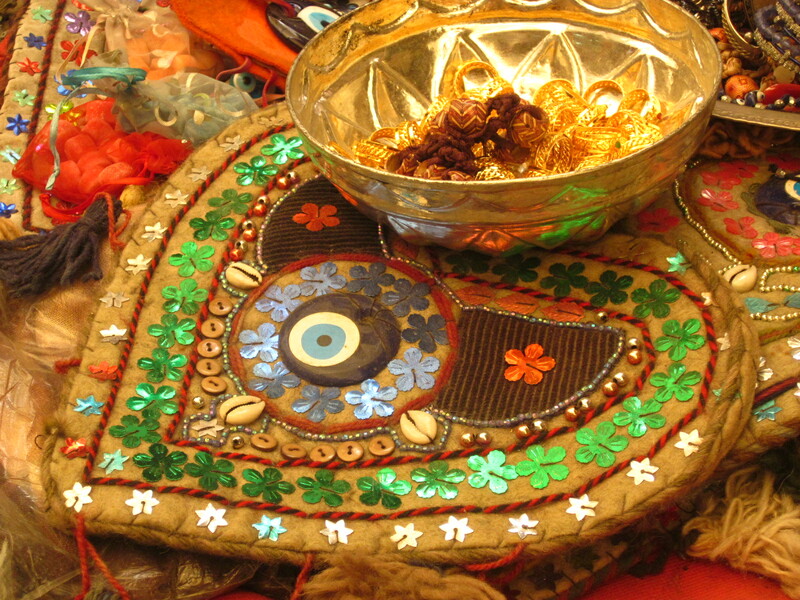 The evil eye is said to ward off nazar, or evil spirits, that can stem from envy in innocuous compliments. The eye itself is believed to be the eye of Medusa, and is seen absolutely everywhere we go. If I get over its eeriness (and can fit anything else into my stuffed suitcase) my apartment in New Haven next year will be graced by an evil eye on my wall. Come visit! It’ll be watching. 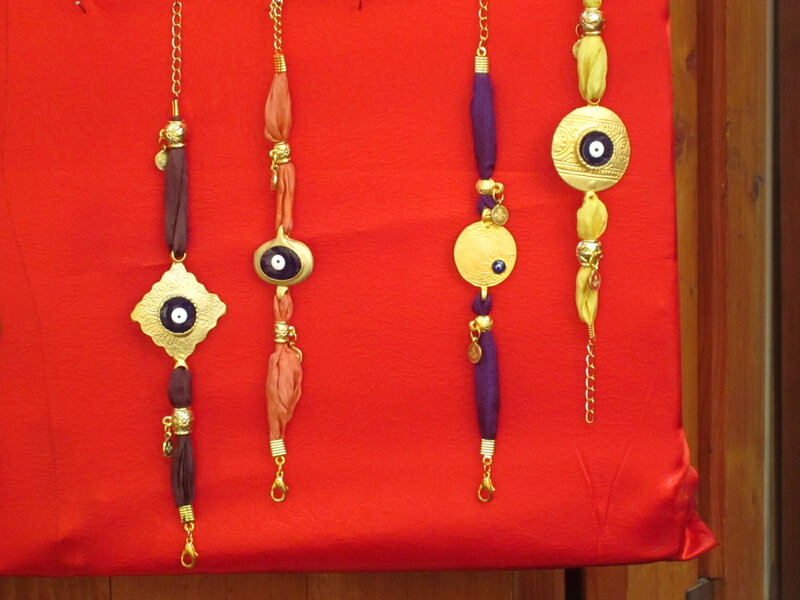 This entry was posted in Uncategorized and tagged bazaar, Istanbul, Urfa. Bookmark the permalink.